Officials of the Africa-USA College Soccer Recruitment Tour (AUS Access) have emerged with not less than 80 talented young footballers after a rigorous talent hunt that saw them comb through the length and breadth of Nigeria. 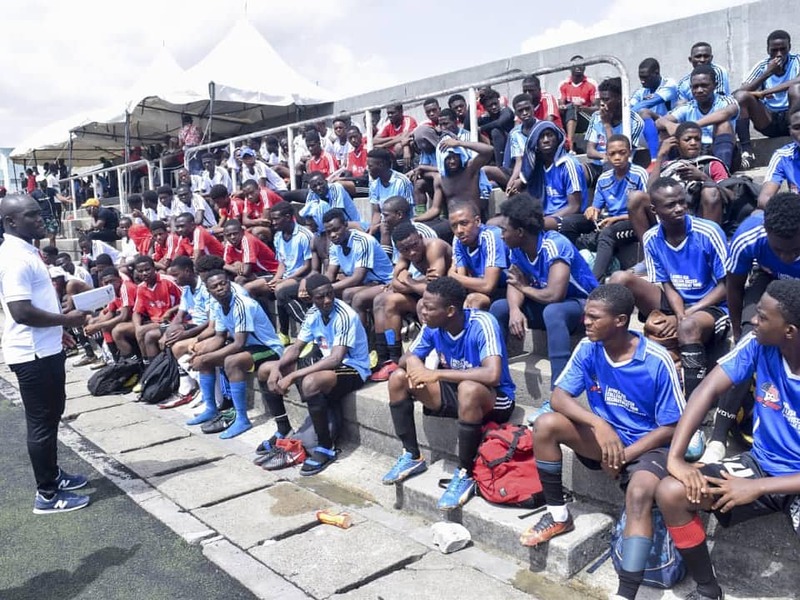 The talents were unveiled at the symbolic Legacy Pitch of the National Stadium, Surulere, Lagos at a ceremony hosted by AUS Access that held on Saturday, April 6th in Lagos. They made the final cut from a pool of talents who gathered across the geo-political zones of the country for trials. The project is conceived to fill the gaps between education and soccer in developing countries with much bias to Africa. 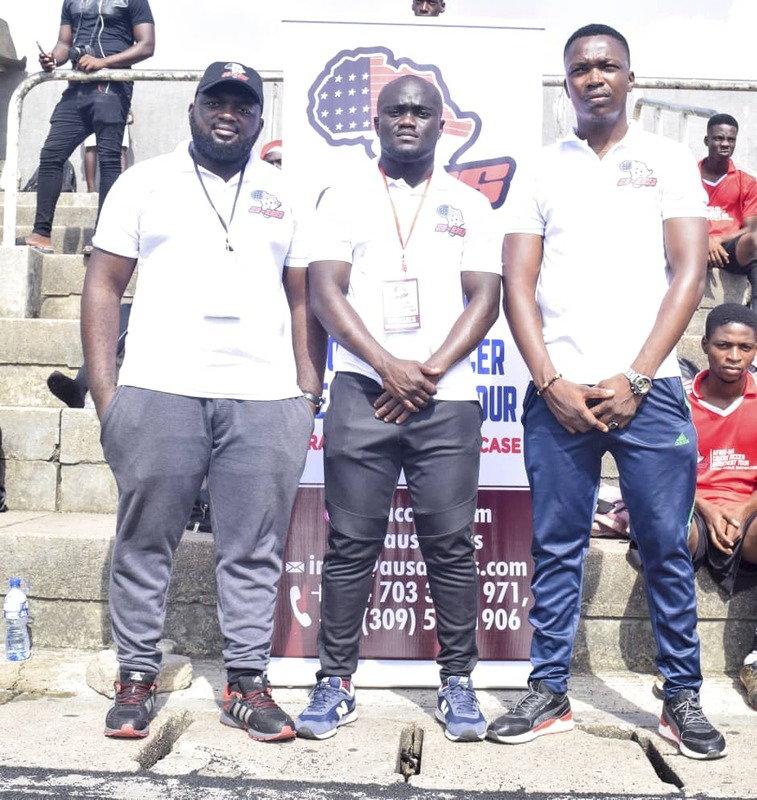 Organizers target to help over 600 talented players across Africa gain admission and scholarship into American universities through different showcases in the coming years. In arriving in the final list, the jury which comprises seasoned American College Soccer coaches looked at sterling qualities that distinguished the most talented among the crop of talents. Speaking further on the yardsticks adopted for the successful execution of the project, Abdul explained that he was a beneficiary of the MTN football scholar, which is a similar model. “I was one of the 4 kids that was invited out of the 4000 kids that participated, so I have been through this myself, I have the first hand experience of how this process work and how this kids when they get there, what they need to do. So this is the opportunity I was able to get as a kid, to travel to the United States not just to study but play football, so I put it upon me to do the same thing for this kids, for the talented ones among them. We have kids from all over the country, we had locations in Abuja, I’ve ife and Lagos, we have kids that traveled from Calabar, Kaduna, they all came from different locations. “We plan to do it every year and expand it to more cities. The coaches are here to see the kids, everyone have an opportunity to be seen. The Program Manager, Kunle Ajayi while giving a breakdown of the strategies out in place to execute this vision, explained that thus far, its been really successful as they are really impressed with the turn out so far and the quality of talents the coaches has identified so far. “It’s a big privilege for them schooling abroad and playing soccer at the same time. It’s not just schooling abroad, but you get a full scholarship to play and study. They have to be academically sound, they need to have passed certain exams that will qualify you for that scholarship. It has you’ve a two way thing,” Kunle added. One of the American College Soccer Coaches, Alex Rinali for Dayton University, noted that it is very important to use football as a vehicle to receive opportunities in life that might not be available without football. Rinali went further to explain that, it is important to stay in education and excel in education to allow the athletes football career go as far as possible. In his words he said, “I think the conditions here (in Nigeria) where we have footballers that dedicated their time to the game create the environment of ultra competitiveness and this high level of competition in turn makes the individual better and when they come to an environment like the United States where the resources are great and the coaching education is at a very high level, those natural talents and the abilities that’s refined over here, 16 to 18 years in Nigeria is able to flourish. One of the talents, Adeosun Dauda Adewale commended organizers of the project describing it as a dream come through. Adewale, an already Selected Scholarship Player, said, “I got to know the program through the visionier. He passed through the same process years ago with a football scholarship show. So he is trying to let the world know that, if you are student and play football you can combine both. Some of the footballers who excelled and was selected are Haruna Hadi (Business Management), Ayokunle Awoseemo (Economics), Yusuf Aweda (Business Management), Olajide Jimoh (Business Management), Dauda Adeosun (Transportaion Logistics), Haruna Lawal (Business Management), Samuel Akinsowon (Biology), Segun Adebolu (Marketing), Orioelaye Kehinde (Biology) and Mifdal Olopade (Sports Management). Others include Hamman Aliyu (Aerospace Engineering), Nathaniel Adejumobi (Industrial Chemistry), Idris Sagir (Computer Science), Godwin Akatu (Industrial Chemistry), Samson Opia-Bale, Ibrahim Ajumobi (Geology), Musa Ali (Business Management), David Johnson (Economics), Akanfe Benjamin (Pre-Law) and Oluwaseyi Olumofe (Art) amongst others.